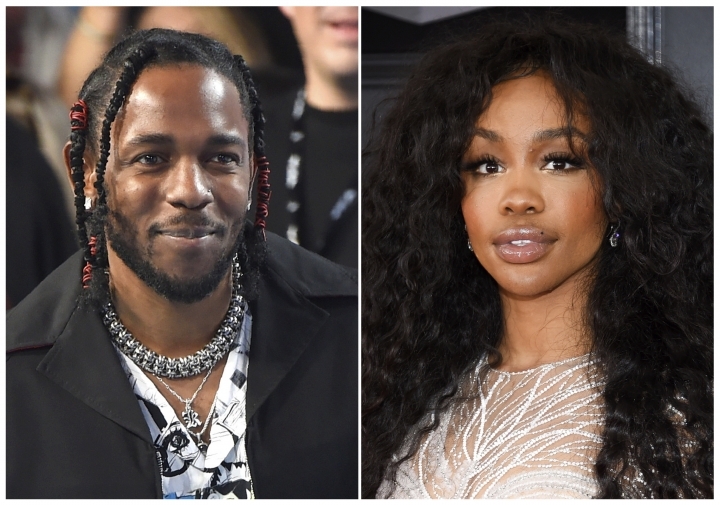 NEW YORK — "All the Stars" are not performing at the Academy Awards, including Kendrick Lamar and SZA. A person familiar with the decision, who spoke on the condition of anonymity because they weren't allowed to publicly discuss it, told The Associated Press on Thursday that the duo behind "All the Stars" will no longer perform at Sunday's show because of "logistics and timing." Lamar and SZA will still attend the Oscars, where Lady Gaga will perform. "All the Stars," from the "Black Panther" soundtrack, is nominated for best original song. The other four songs competing for the award will be performed Sunday. The nominees are "Shallow" from "A Star Is Born"; "I'll Fight" from the Ruth Bader Ginsburg documentary "RBG"; "The Place Where Lost Things Go" from "Mary Poppins Returns"; and "When a Cowboy Trades His Spurs for Wings" from "The Ballad of Buster Scruggs."